The quick and easy way to branded 360 experience? Reserve a Spot on our vanilla themed native app, and make it yours by customizing it through a web configuration tool. 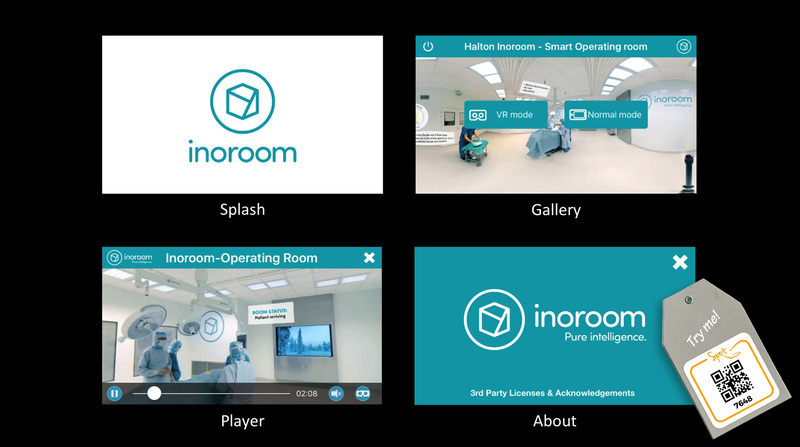 Your experience will be up and running in minutes, and available on all relevant platforms from phones & tablets to smart TVs & VR glasses! 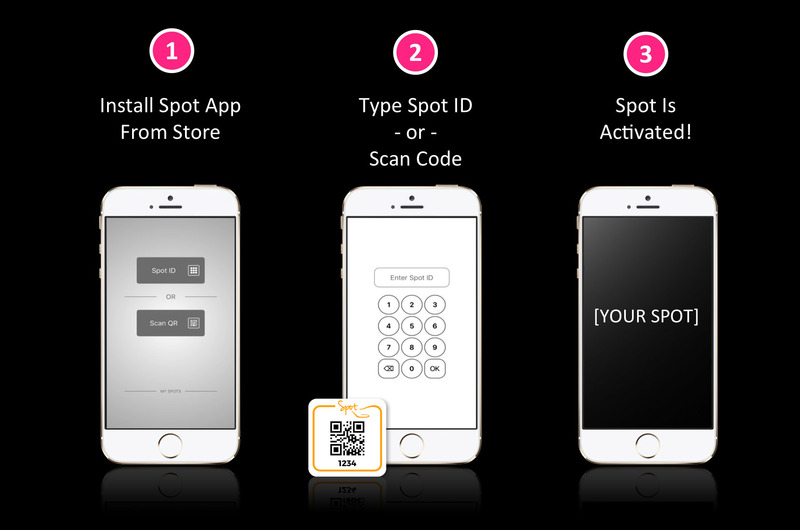 Each Spot has a unique ID – it is like a PIN code – that users type into the Spot app to activate a particular Spot. All activated Spots are added to My Spots section of the login view for easy access. Tip: Skip activation with a web or email link, and take users straight to your Spot! When you create a Spot project in the web configuration tool, a Spot ID will be reserved and a Spot Tag created for you. The tag contains the Spot ID in both numerical and QR code formats. You can download the image and use it in your marketing material – flyers, posters, newsletters etc. Tip: If you create a custom Cardboard for VR use, print your Spot Tag on it! Each Spot experience begins with a splash screen and contains a content gallery, 360 video player, and about screen – which you can customize easily with the web configuration tool. Create your Spot in passcode-protected development mode. When ready, pay and publish your Spot. The countdown view (with your logo) will be shown until your campaign begins and it is time to reveal your Spot. After the campaign is over, your customized message will be shown. With Spot, you pay only for the time that your campaign is active (subscription period). A new Spot can be created in just a few minutes using our intuitive and simple Spot configuration tool. Create an account and start a new Spot project. 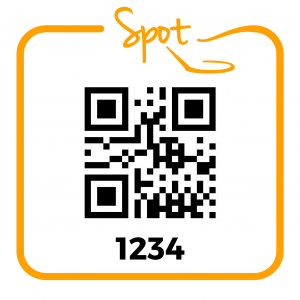 You will get a Spot ID (as a 4-digit number and a QR code), and a Spot Passcode for accessing the Spot in the Developer Mode. Customize the Spot look&feel and preview changes immediately on all platforms. Add media content. Choose subscription length, and pay. As a final step: set when the Spot will become available, and publish it. You’re done! Spot gives you the power and usability of a native app – without making an app.